Help feed malnourished children and families by providing a food source close to home. Your donation can give a garden starter kit, including seeds and tools, and training by a local expert to ensure the family reaps the benefits! 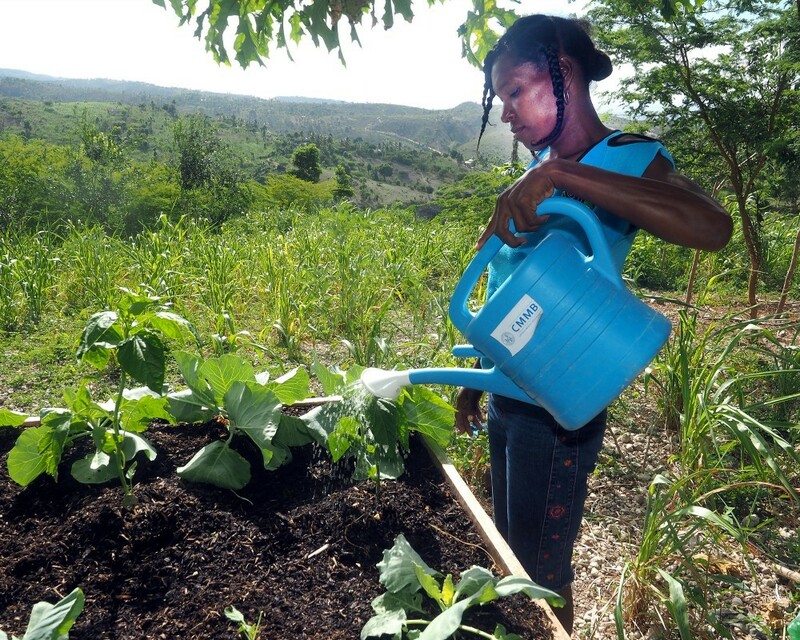 Mary is proud of her small garden in Haiti. With help from the local CMMB agronomist in Côtes-de-Fer, Mary is learning to develop a gardener's "green thumb." It's hard for people and plants to thrive in this dry area. 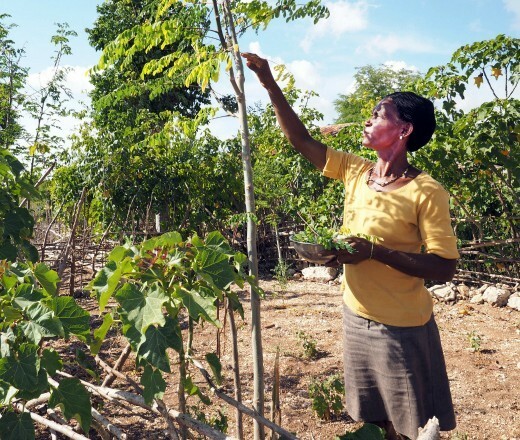 However, with encouragement and diligent watering, a small but steady supply of vegetables can sometimes mean the difference between a meal for Mary's family of five and going hungry.